Motu: Local growth – it’s complex! 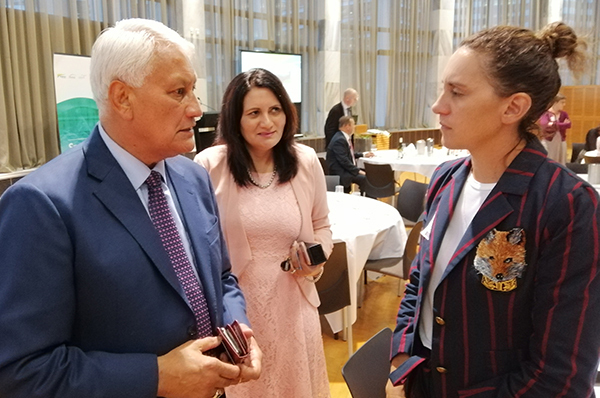 March 2019: Rebekah Fuller from Lincoln Agritech presented on Mātauranga Māori at the first 2019 Speaker’s Science Forum on 13 March. IRANZ welcomes Dr John McDermott to the Independent Research Organisation community as he moves to take up the reins at Motu this month. IRANZ Chair and Aqualinc CEO, John Bright, is quoted in the Christchurch Press on the future of Canterbury's water supply. The Centre for Space Science Technology (CSST) is supporting this year’s New Zealand Aerospace Challenge. Mackie Research is continuing to lead work to improve transport outcomes in South Auckland in the Safe and Healthy Streets programme. Lincoln Agritech hosted senior officials from the Chinese National Agro-Technical Extension and Service Centre (NATESC). IRANZ is an association of independent research organisations. IRANZ represents the collective interests of members by undertaking activities aimed at creating a positive operating environment for Independent Research Organisations in New Zealand. IRANZ member organisations make vital contributions to a broad range of scientific fields, and offer an important complement to university-based and Crown Research Institute research. Our smaller sizes and greater flexibility provide an environment that is particularly conducive to innovation and end-user engagement. Having varying governance and ownership arrangements. Find out more about IRANZ and our members by checking out our News page.